When a curious gray seal poked his head into a cluster of nets on Tuesday, he probably didn't expect the adventure that followed. 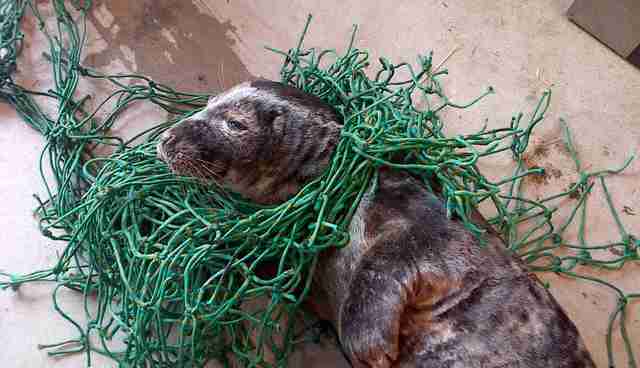 But thanks to a few concerned members of the public who spotted the tangled seal, he caught a rare glimpse into the human world. 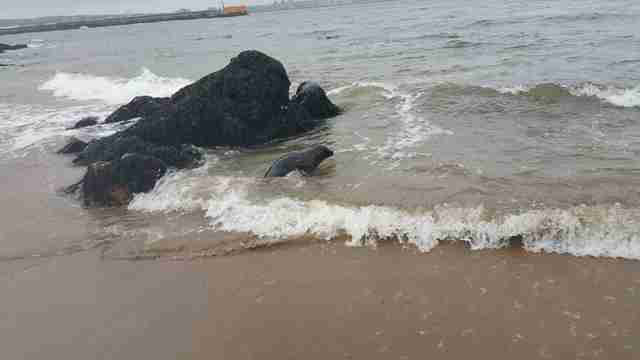 The Scottish SPCA responded to the scene at Scotland's Cruden Bay, where rescuers were shocked by what they saw. 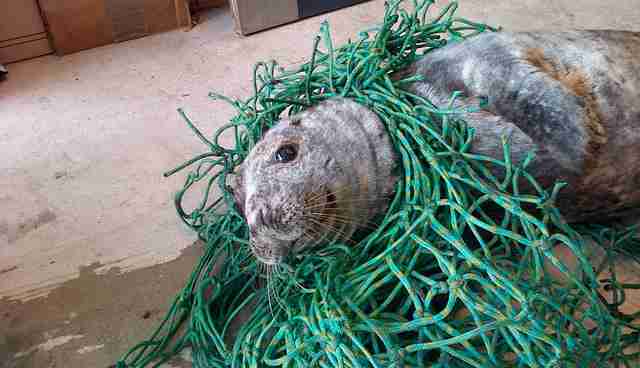 "The amount of netting tangled around the seal's neck was the largest I have ever seen," John Carle, chief inspector for the Scottish SPCA, said in a statement to The Dodo. With nets and all, the heavy seal required three members of the SPCA and four helpful volunteers from the public to be lifted into the transport vehicle. He was driven to the SPCA's rescue center in Drumoak, where the nets were removed entirely and he received a clean bill of health. 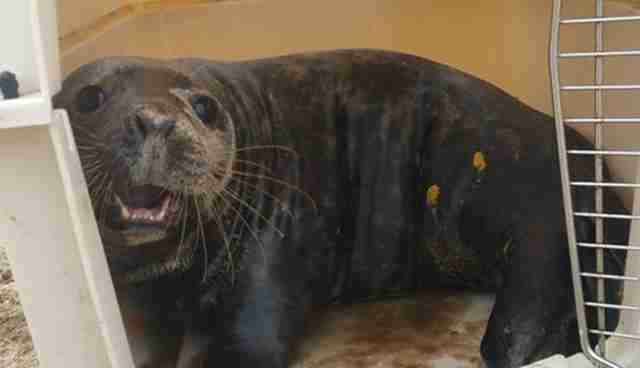 "Thankfully there were no injuries in this case and we were able to release him relatively quickly," Carle explained, noting that, if he hadn't been found, the seal could have suffered from cuts and resulting infections. 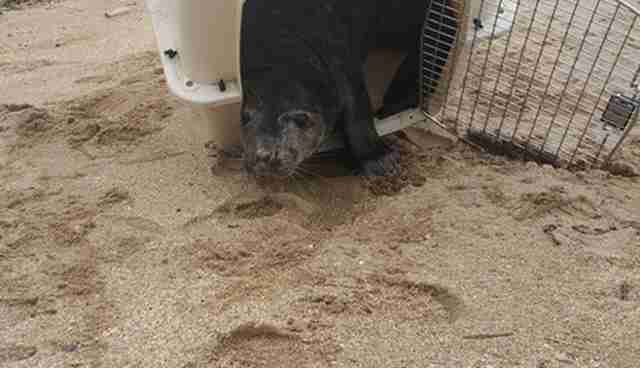 The seal looked excited in his doggy crate, which the SPCA used to transport him back to the beach. The team tilted the crate to encourage the seal to go back home. 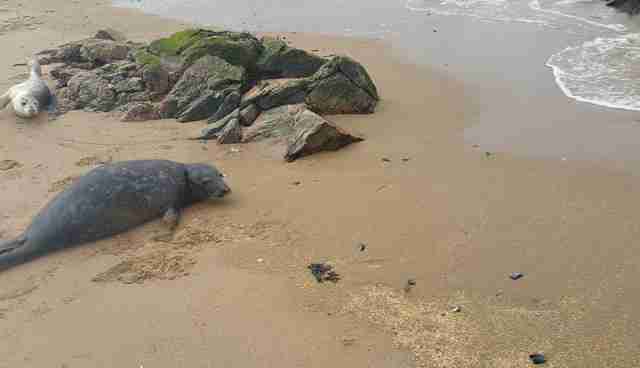 Before swimming out toward the North Sea, the little guy looked back at the humans who went out of their way to save him. Then, with his body crashing into the waves, he swam back out into the wild ocean, where he belongs. If you've found a tangled or beached animal, there are professionals who are trained to help. Here's a list of local hotlines to report wildlife in need.